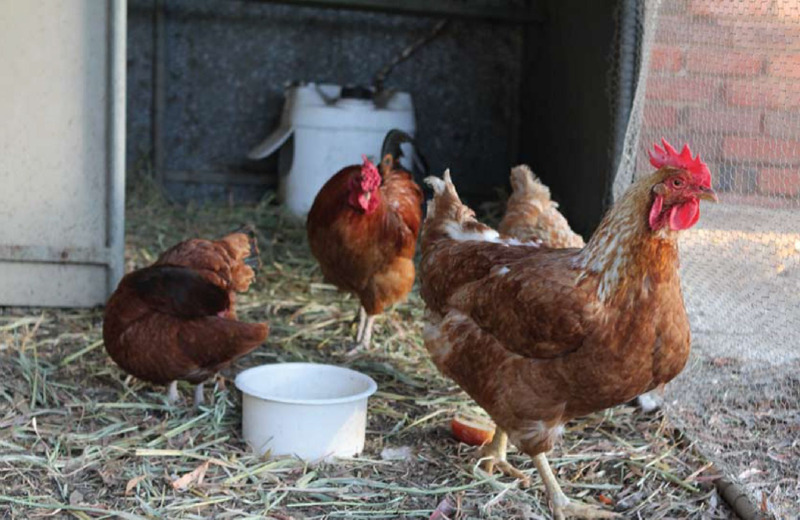 The poultry biosecurity checklist summarises the actions needed to protect your poultry and the Western Australian poultry industry from the devastating effects of emergency diseases such as avian influenza or Newcastle disease. Following the checklist will also minimise the potential for introducing common poultry diseases into your flock, such as infectious laryngotracheitis, Marek's disease and coccidiosis. Assess your property's biosecurity against each section to see how well your flock is protected. The poultry biosecurity checklist below summarises the actions needed to protect your poultry and the WA poultry industry from emergency diseases and to minimise the spread of more common diseases. Assess your property's biosecurity against each section. Check whether your local council has any restrictions on owning poultry. Select poultry from a reputable producer or breeder. Do not buy poultry from markets. Do not buy poultry from multiple sources as this increases the risk of introducing disease. Ask the vendor for written details of the flock's health, including vaccinations, treatments and other medications. Isolate new arrivals for at least 14 days so that any diseases that they may be incubating will be visible before you introduce them to the rest of the flock. Attend to new arrivals after your existing flock and use separate equipment, or disinfect equipment after use. If you work in a commercial poultry premise, do not keep poultry at home as you could spread disease from one flock to another. Report unusual signs of illness to a vet or ring the Emergency Animal Disease Watch hotline on 1800 675 888. Discuss vaccination of poultry with a vet as it is a specialised task. Do not share equipment with other poultry owners unless it has been thoroughly disinfected. Comprehensive bird biosecurity guidelines, including links to videos of biosecurity practices, can be found on the federal Department of Agriculture and Water Resource's website. Minimum biosecurity standards for Australia's poultry industry are set out in the National Farm Biosecurity Manual - Poultry Industry and the National Water Biosecurity Manual - Poultry Industry, also available on the Department of Agriculture and Water Resources website. For more information about keeping your poultry healthy, contact your vet or local Department of Primary Industries and Regional Development field vet.